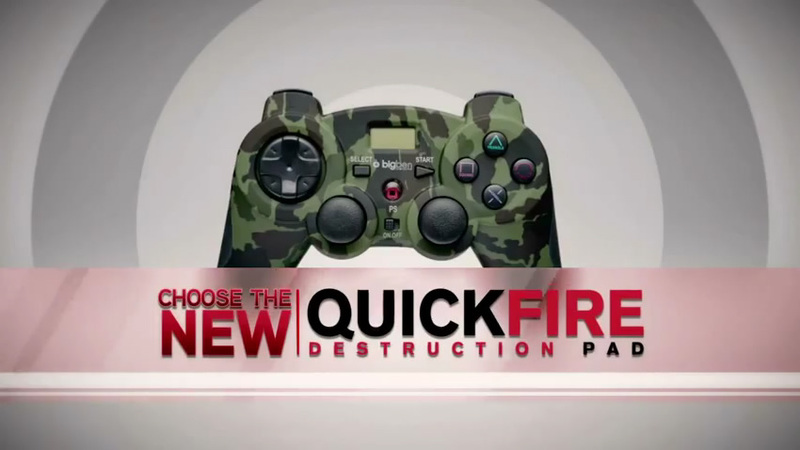 Discover the ultimate shooting games experience with the QUICKFIRE Destruction Pad wireless PLAYSTATION®3 controller. This controller for PS3™ will allow you to take the lead and chase you enemies with unrivalled fire power. The controller can be adjusted to heighten any gaming experience – from sports to fighting to shooting games. Gamers can choose from one of the five preset modes or program any of the buttons. Did you ever dream to quick-fire with your M9 gun? For the ultimate edge in first-person shooter games, the controller can be manually adjusted to fire from 6 to 60 shots per second. All the buttons are configurable and the grip assures it won't slip out of your hand. More than a classic PS3™ controller, the QuickFire Destruction Pad is compatible with all shooting games and even the well-known Call Of Duty™ series. This controller promises you furious nights, headshots and will certainly bring you to the glory. To use it as a traditional controller for any game, the QuickFire mode can be turned off.